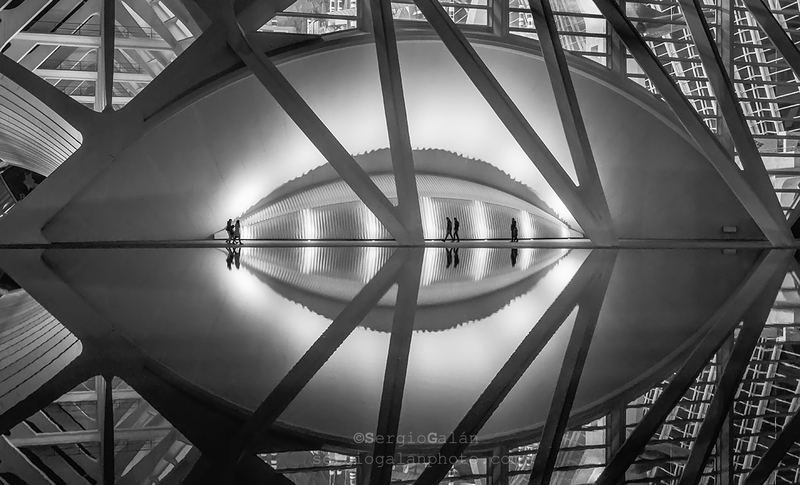 This picture has been awarded in the Siena International Photo Awards 2017 in the category “Architecture” as “Remarkable Artwork”. The scene, different citizens walking under the watching of an emblematic valencian building, is a metaphor of the city itself, where past and present walk together and quietly, represented by the reflection in the water, toward the future, represented by the architecture of this building. Valencia has been nominated in a survey in “Time” magazine, best city in the world to live. It has been an amazing weekend in wonderful Siena, a city that I fell in love with in my first visit twenty years ago.